[Redacted] has gone berserk! Destroying half the city was not enough. Now, he has snatched [redacted] and is holding him and the entire city hostage. Speeding to the rescue is [redacted] and his modified [redacted], but eight of [redacted]'s cybernetic soldiers plan to send [redacted] to the scrap heap for good! Feel the weight of the world on your shoulders as you battle [redacted]! Chip away at the rock-like defenses of [redacted] and bring him crumbling down! Hit the surf and sail up against the tidal power of [redacted]! Wish I hadn't guessed because I just read this over again and figured it out. That language they use is a dead giveaway lol. Feel the weight of the world on your shoulders as you battle [redacted]! Chip away at the rock-like defenses of [redacted] and bring him crumbling down! Hit the surf and sail up against the tidal power of [redacted]! Help [redacted] defeat all of [redacted]'s robots and then get ready for the fight that pits brother against brother in the battle of the century! Protoman has gone berserk! Destroying half the city was not enough. Now, he has snatched Dr. Light and is holding him and the entire city hostage. Speeding to the rescue is Mega Man and his modified Mega Buster, but eight of Protoman's cybernetic soldiers plan to send Mega Man to the scrap heap for good! Feel the weight of the world on your shoulders as you battle [redacted]! Chip away at the rock-like defenses of [redacted] and bring him crumbling down! Hit the surf and sail up against the tidal power of [redacted]! Help Mega Man defeat all of Protoman’s robots and then get ready for the fight that pits brother against brother in the battle of the century! Took away some (/most) of the redacted information. That’s it! Sorry for the long round, everyone. Your turn, Tazy. I've literally never heard of that part of the plot about destroying a city and then holding it hostage. Is that something exclusive to the American boxart? Because that is literally never brought up in game. Let me know if this is wrong. So long as you didn't actually look up the back of the box, it should be fine? Also you got it. Possibly because you also hated the seal mechanic. Your turn @I REALLY HATE POKEMON! "Check into the mystery at [Redacted]." Well, guess I was wrong about it not being easy. You're a bit of a detective yourself, ML. 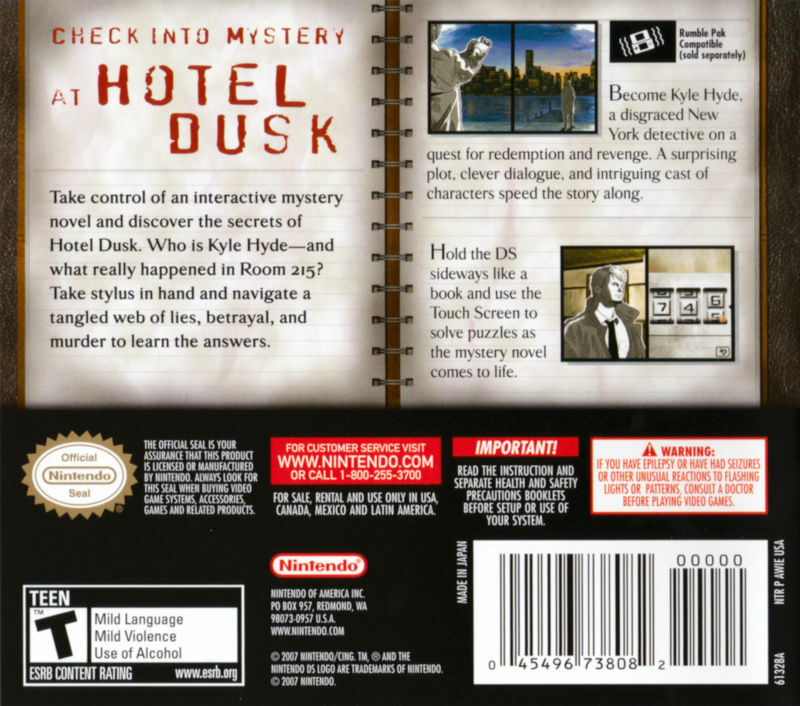 Yep, it's Hotel Dusk. Great game, absolutely one of my favorites. It's cool he's in SSBU's Spirit mode thing, I'm sure I saw him flash by in the corner in the recent Nintendo Direct video. 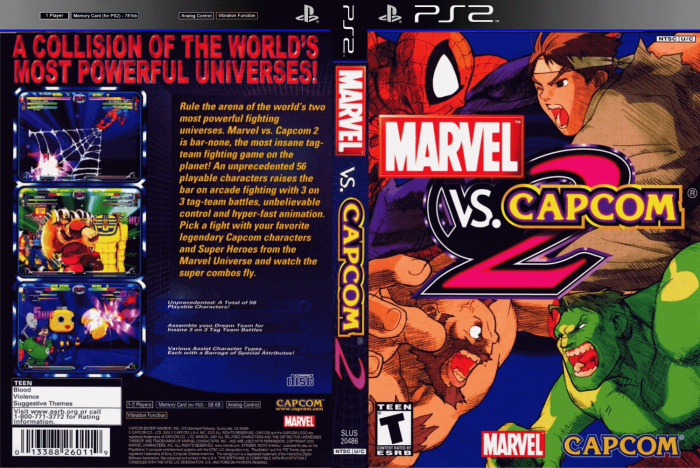 A COLLISION OF THE WORLD'S MOST POWERFUL UNIVERSES!